With over 150 locations in the United States, the Cheesecake Factory has a reputation as one of the nation’s favorite casual dining restaurants. Its extensive menu includes classic comfort foods like Shepherd’s Pie, Chicken and Biscuits, and Fettucini Alfredo. However, the Cheesecake Factory does not display the nutritional information of its entrees readily available to diners. 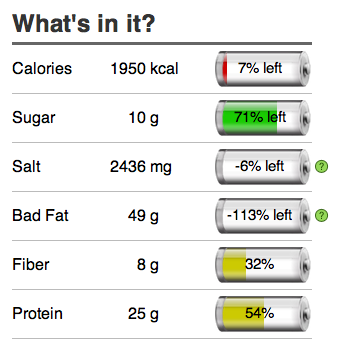 Consequently, most people are unaware of the MASSIVE amount of calories that these seemingly harmless entrees contain! 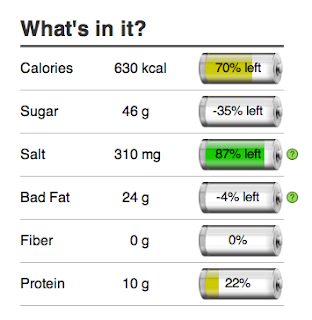 Luckily, Bon'App is here to reveal how many Calories, Sugar, Salt, and Bad Fat are in Top 4 dishes at the Cheesecake Factory so that you can make a healthier choice next time you eat out! This crowd-pleasing appetizer is certainly not a good way to start your meal. 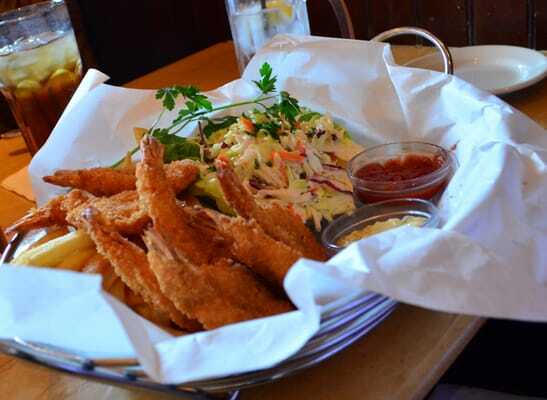 The Fried Shrimp Platter contains sticks of breaded and fried crisp shrimps with french fries and cole slaw. With one serving of the dish containing a whooping 1828 Calories with 4029mg of Salt, this appetizer should be shared among 10 people, at least! Served on a huge platter, the dish contains corn tortillas stuffed with spicy chicken and covered with high-fat melted cheese and tomatillo sauce. It additionally has grilled corn cakes, black beans, salsa, and sour cream on the side. With one serving of the platter containing 1950 calories, it exceeds USDA DAILY recommended calories for an average woman! 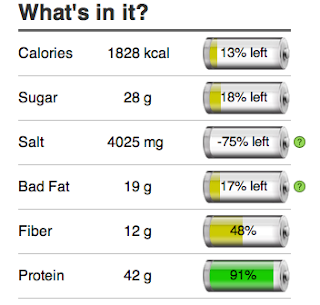 Not only is it high in calories, but also in Salt and Bad Fat. Thought you were making a smart decision by ordering a salad? Well, think again when you are at the Cheesecake Factory! 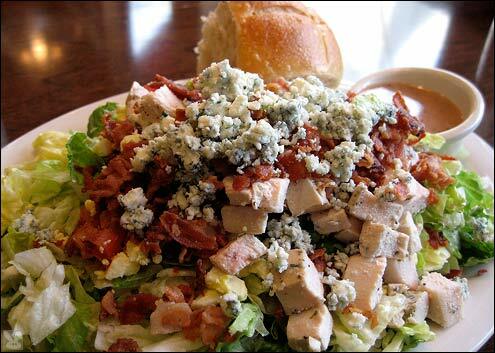 The Cobb Salad, which has cubes of chicken, avocado, blue cheese, bacon, tomato, and egg, will not guarantee a slim waistline. 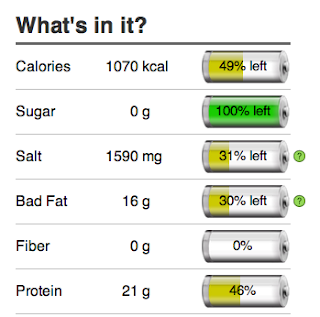 One serving of this "salad" has 1070 Calories, 1590mg of Salt, and 16g of Bad Fat. Oh, and did we mention that it is also served with a dinner roll on the side? When dining out at the Cheesecake Factory, it's hard to resist the temptation of ordering the menu item where it all started--Cheesecake! Unfortunately, all the cheesecake at the restaurants are high in Calories, Sugar, Salt, and Bad Fat. For example, one tiny slice of Key Lime Cheesecake with buttery graham cracker crusts has 630 Calories, 46g of Sugar, 310mg of Salt, and 24g of Bad Fat. Imagine adding all these bad nutrients to your body...especially after consuming so many Calories and Bad Fat for your main course. You will definitely fall into food coma after this massive meal. With the help of Bon'App, we hope that our users will make healthy decisions when dining out by avoiding restaurants like the Cheesecake Factory where most of its entrees have loads of Calories, Sugar, Salt, and Bad Fat!